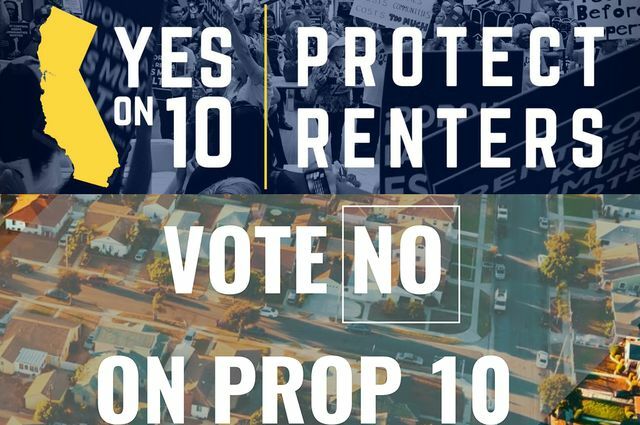 In less than two weeks, as the nation heads to the polls after a contentious mid-term election season, California voters will cast their votes on Proposition 10. The hotly debated measure would repeal the Costa-Hawkins Rental Housing Act, which froze municipal rent control laws across California and made them a matter of state, rather than local, governance. A repeal would once again allow cities to decide whether to expand rent control. Tenants’ rights and eviction defense groups view Prop. 10 as a much-needed step to address the affordable housing crisis while real estate and property-owner advocates have largely opposed it. On Oct. 16, spurred on by the release of its first white paper — titled “People Simply Can’t Afford to Pay the Rent” (PDF) — the UCLA Luskin Center for History and Policy welcomed community leaders to campus to discuss Prop. 10 as part of UCLA’s ongoing “Why History Matters” discussion series. “We invite people to understand the history of the issue as essential prerequisite to their civic and electoral engagement,” said David Myers, director of the center and the Sady and Ludwig Kahn Professor of Jewish History at UCLA. Panelists ranged from cautiously hopeful to cautiously dubious about Prop. 10’s chances of passing, noting that it will likely take record-high voter turnout to approve it. Lead author of the Luskin paper, Alisa Belinkoff Katz, set the stage for the evening with a history lesson, recounting two other times when Los Angeles experienced acute housing shortages. During World War II a flood of much-needed workers for the defense industry pressurized housing demand, so rent control laws were put in place to prevent price gouging. Such laws were even promoted as patriotic. Those policies ended in 1950, Katz explained. In the last half of the 1970s, residential property values in Los Angeles shot up 69 percent countywide, causing financial pain to homeowners and renters. That resulted in property tax reform by way of Proposition 13 in 1978, and eventually led to the current rent stabilization ordinance. This law, which only affects buildings constructed before 1979 and excludes single-family home rentals, limits rent increases to the prior year’s inflation and ultimately allows landowners to raise rents to market levels when tenants move. Nevertheless, the 69 percent increase in home prices that spurred Proposition 13 had, by the end of 2017, become a 238 percent increase in home prices adjusted for inflation, according to the paper. Ever-increasing property values are once again leading to higher rents. This combined with an increase in poverty and a decrease in affordable rental units has created the current crisis and contributed to the county’s 53,000 homeless. The report estimates the median renter in Los Angeles pays an untenable 47 percent of their income in rent. History can help re-frame California’s current rent control debate | UCLA.